The first and most obviously noteworthy feature of the pretty small town of Saint-Antonin-Noble-Val is its location. Situated on the Aveyron River at the north-east of the Tarn-et-Garonne département, it’s dominated by the majestic cliff-faces of the Roc d’Anglars, the Roc Deymié and the Pech Dax. There are spectacular panoramic viewpoints to appreciate close to the town: for Roc d’Anglar, take the D115 road to Vaour; to enjoy the view of Le Cirque de Bône, just 5km from Saint-Antonin, choose the D958, turn off near Caussade and head for the top of the hill; and finally, to enjoy a fabulous viewpoint of the Route de la Corniche, take the D115 towards Bruniquel, 3km from Saint-Antonin, then take the left-hand road of the Corniche (D115B). 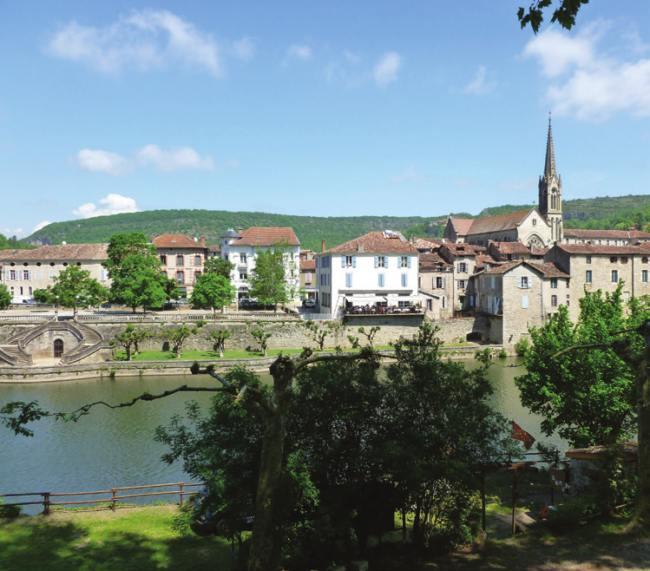 Sitting in the heart of the Rouergue and Quercy provinces, Saint-Antonin is an ancient town steeped in history, one which grew up around a Benedictine abbey in the 8th century. The abbey may be long gone but the town still boasts a strong medieval architectural heritage and a fabulously unspoilt rural French feel to its higgledy-piggledy streets – there’s a pleasant surprise around every corner. Saint-Antonin’s most important building is the town hall, which was constructed in a strategically prominent position during 1150AD and is one of the oldest civic buildings in France. This hôtel de ville, which boasts a remarkably ornate façade, now houses a small museum dedicated to prehistory, geology and palaeontology. The town hall is by no means the only architectural eye-pleaser to seek out during a walking tour of Saint-Antonin – contact the Tourist Office to arrange a guided visit. La Maison d’Amour (the House of Love) derives it name from the 15thcentury sculpture of a couple exchanging a kiss in its arcade, which is now an official Historic Monument. Other buildings to head for include the Temple Protestant, the current version of which dates from 1845, and the Tourist Offi ce itself, housed in the 18th-century Convent of the Génovéfains. Water has played a prominent role in the industrial history of the town, which once had over 40 tanneries, producing some 200,000 hides every year and creating much wealth. This business declined during the 19th century and the last tannery closed in 1925 but you can still wander down to the picturesque Bessarel part of town to check out the impressive industrial architecture. 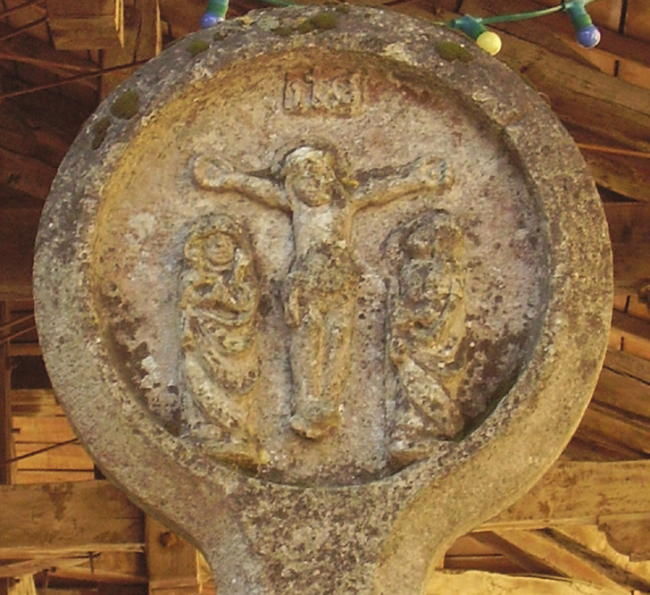 The river Bonnette meets the Aveyron in Saint-Antonin and tragically, flooding left its mark on the town – check out the high-water marks from 1930 – which put an end to its short life as a thermal spa destination. The beating heart of the modern town is, inevitably, centred around its magnificent, medieval covered market hall. On Sunday it’s market day, which means most of the centre’s main streets are lined with stalls selling all manner of local cuisine – confit de canard and foie gras are specialities – and artistic trinkets. Saint-Antonin possesses oodles of aesthetic charm and a relaxed ambience so it’s little wonder that the town features strongly in ‘most popular places to live in France’ lists and is often used as a film location – notably for Charlotte Gray and The Hundred Foot Journey.